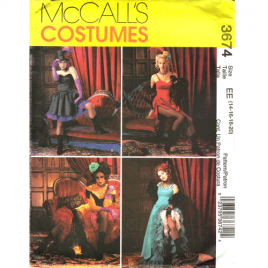 McCalls 5061 Plus size jacket, dress, top, pants and skirt pattern in sizes 18W-24W. 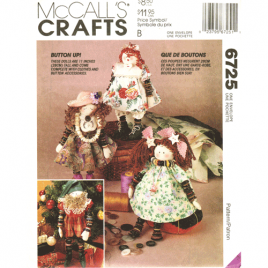 McCalls 6725 sewing pattern for 11" button dolls - lady, girl, baby, and Christmas elf. McCall's 2938 Scottish Festival Costume Sewing Pattern in sizes 12-14-16. 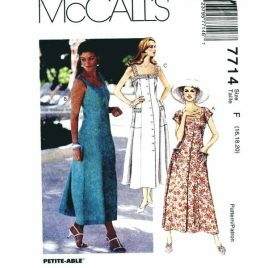 McCalls 7714 midi length dress pattern in sizes 16-18-20. Uncut. 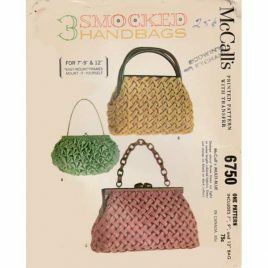 McCalls 6750 smocked handbag pattern in three styles. Mccall's 5589 pattern - top with neckband, pleats and button front in sizes 18W - 24W. McCalls 5337 loose fitting top sewing pattern in sizes 18W - 24W. McCall's Costume chemise pattern in sizes large - x-large. 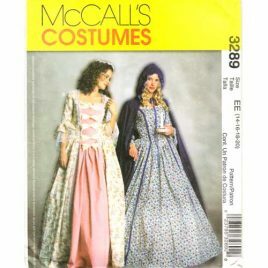 McCall's colonial costume dress pattern in sizes 14-16-18-20. Uncut.